It’s time. Were you a bit unmotivated at work towards the end of last year? Did you come back this year and not feel ready to face it all again? Then it is time for a change. It is time to figure out what 2019 is all about. Just like in the rest of your life the beginning of the working year is time for some resolutions. It is a great time to stop and reflect on last year, and decide what needs to change. For some people it will be time to admit it is time for a new job. For others it will be about setting new challenges to push themselves further. It might be time to think about post-grad studies or other personal development that sets you up for a future change. Some people will be reading this thinking… naaa I don’t need a goal, I can’t think of one, I can’t be bothered, or I’ll never stick to it any way. Having a goal gives you a focus, it gives you a chance to reflect and think about what you are doing. The above are just excuses, deep down you know it. You have to go to work every day, you spend as much time in an office as you do at home. Isn’t it better that it’s worthwhile rather than just floating along? For most of us it’s hard to change. It takes effort and energy. But there is no time better than at the beginning of the year when you have a sense of renewal, new beginngings. What was good? What was bad? Can you name one highlight? What was one piece of work or project that you just hated? If there was more bad than good in your list, maybe it is time for a new role or a new organisation. This is what I refer to as the “what do you want to be when you grow up” question. Do you know where you are heading in your career? Are you happy with where you are (that is totally ok to)? Where will you be in five year (so cliched)? If you don’t know maybe this is your career goal for 2019, figure out what you want to be when you grow up. Is there something you have been wanting to learn more about? A skill that you know you really need to brush up on? Have you fallen a bit behind in professional development? 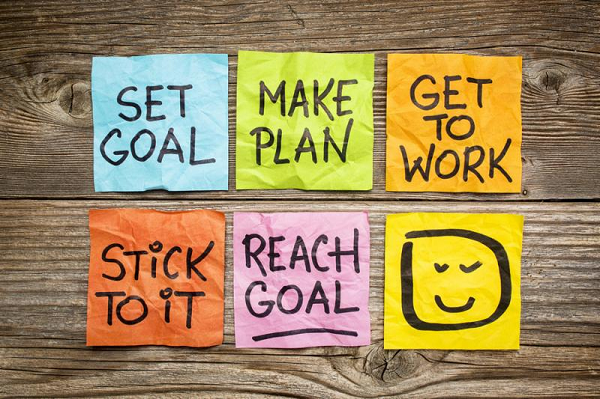 Your goals might be simple. I am going to read one article about social media a week. I am going to go to one conference this year. I am going to take myself out of my comfort zone and do more presentations/public speaking/data analysis (we are comms people after all). It can be big or small, but you can always learn more. My goal for this year is to maintain the work life balance that I have found working for myself. It makes me a happier, nicer person. So despite sitting here and writing this on a Saturday, this year I am going to try to make myself switch off and not think about all of the things I haven’t done. For me this is a big goal but something that will give me a focus for the year. Great read as always Mel. I’ve been trying to use the January “quiet period” to set some goals for the year. Good luck with your goal!